Artist Lily Williams explores how that would affect other animals on the whole planet in this clever picture book about the importance of keeping sharks, and our oceans, healthy. Lily Williams grew up in Northern California. She received her B.F.A. with high distinction from California College of the Arts. Lily seeks to inspire change, engage audiences, and educate people of all ages with her artwork. Her work can be seen in film, books, and on the web. 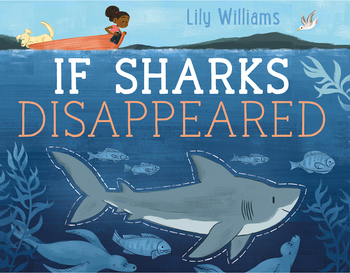 If Sharks Disappeared is her first children's book.